I always have grand ideas for kid's birthday parties but being a busy working mum, it's gets closer to the day and I realise I don't have enough time to get half the things created that I wanted to. 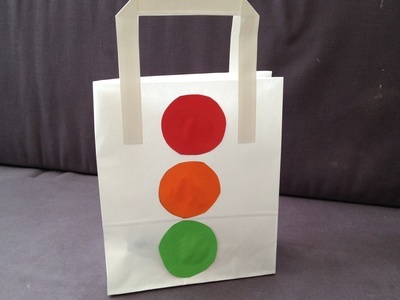 These party bags are very simple and your kids can join in making them. They were perfect for my son's car theme birthday party and he loved handing them out to his friends at the end. You'll need a little simple planning first. 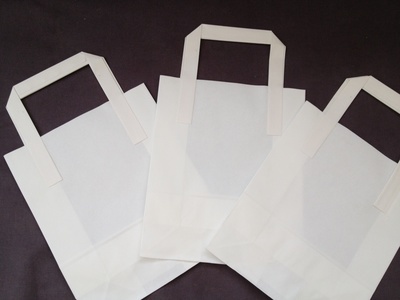 Check the size of your sandwich bags and that the template you are using for the circle will fit three on the bag. I had to hunt around to find a cup small enough. 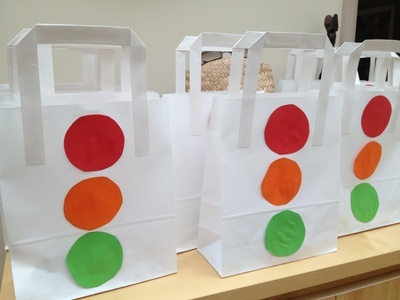 Draw enough circles so that each bag will have a red, orange and green. Cut out the circles. 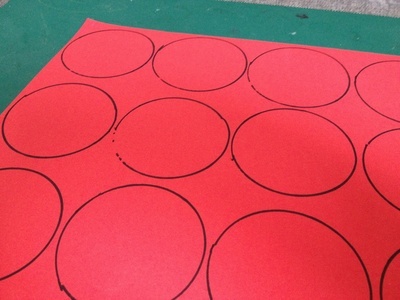 This is a great scissor skill for kids but if they are young or you're pushed for time, an adult can cut several circles in one go by layering a few sheets of paper. Glue on the circles to look like traffic lights. First red, then amber and finally green. I really wanted to include some tissues paper in these colourss sticking out the top of the bag but I ran of time. However, this might be a nice addition if you have an extra moment.